Rob Des Cotes has left a legacy, particularly with the Imago Dei Christian Community and his written meditations. I have met many good Christian leaders throughout my career with Christian Info Society and Church for Vancouver, but I particularly looked forward to a call or meeting with Rob Des Cotes. I always felt welcome when I called, enlightened as we spoke and encouraged as we parted, whether we were discussing his new jazz album, one of his arts gatherings, his role as a pastor or his burgeoning Imago Dei Christian Community. Many other people clearly feel the same way. Rob looked well last fall, when we had an hour to chat during dinner at a retreat, despite the fact that he had been suffering from cancer for about three years. But word got around that he wasn’t doing well this spring, and when it was announced that the Imago Dei gathering at Fairview Baptist Church April 2 would be the last, after 14 years – that drew a crowd. The church was full for a sober and reflective, yet joyful, service. The purpose, as always, was to point those gathered to God, but a palpable subtext was the shared desire to express gratitude for Rob’s life and leadership. Rob stood and spoke a few words to introduce the service, then sat through the rest. He was there as we filed by to take communion, gone by the end of the service. Two days later he entered hospice and he died two days after that. 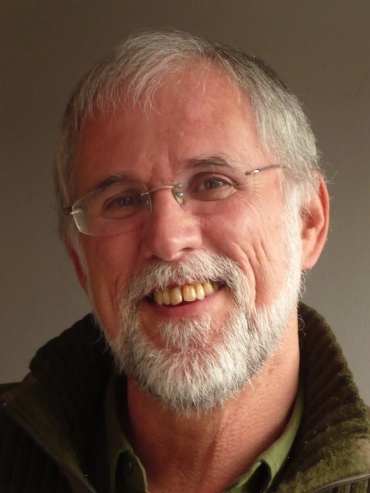 Rob was a spiritual director, retreat leader and pastor of Imago Dei, an ecumenical network of Christian faith communities based in Vancouver, with sister groups across Canada, the US, UK and Asia. He had also been the pastor of Fairview Baptist in Vancouver until moving to the A Rocha Brooksdale environmental farm in South Surrey, BC. He was the author of [four] books of meditations for spiritual direction. . . . He had taught Contemplative Traditions at Trinity Western University as well as courses on spirituality and the arts at Carey Theological College and Columbia Bible College. He was an active member of Baptist Peacemakers International and directed Imago Dei’s Vancouver Arts Network, a community of writers, musicians, actors, dancers and visual artists who are in creative dialogue with spiritual issues in the arts, especially as they relate to postmodern culture. He was well known as a flautist and liturgist. Rob will be much missed for his gentle commitment to encouraging others to deepen their practice of prayer and life of faith that recognizes and welcomes God’s transforming work. Rob and Ruth Des Cotes have been part of the A Rocha community for many years. Rob and his wife Ruth began their involvement with A Rocha in its earliest days in Canada, when we operated out of a church basement in North Vancouver. He has been a mentor, friend and spiritual guide to many in our A Rocha community over the years, helping us seek God’s presence and direction in critical moments (from starting A Rocha in the first place to launching the first environmental centre in Surrey). 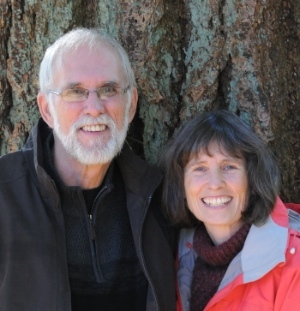 In more recent years Rob and Ruth resided at A Rocha’s Brooksdale Centre so she could be closer to the children’s education work she leads, and so he could have a base for his ministry of contemplative prayer and spiritual direction. In addition to his significant pastoral, writing and speaking ministry with Imago Dei, Rob led our community into deeper ways of knowing and experiencing God and experiencing the depth and goodness of community. Rob brought a rare combination of humour, godly wisdom and intentionality to every setting. In his faithful pursuit of God he shaped the culture of A Rocha and Brooksdale in particular. He was our Gandalf and we will miss him greatly. 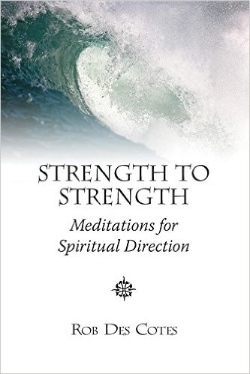 Rob has written many meditations over the years, sending them out weekly by email, but also collecting them in four books: Higher Than I; Fan the Flame; Ultreia (Go Farther); and Strength to Strength (published late last year). With any loss, be it the loss of a loved one, of an opportunity, of material possessions that were dear to us, or of a capacity you no longer have, we naturally experience grief. We have enjoyed a certain gift of life in these areas and now it has been taken away from us, leaving an empty space that, seemingly, nothing can fill. But there is another spirit that accompanies any grief over a loss, it’s the spirit of gratitude – gratitude for the gifts God gave you through these now-gone features of your life. And both these spirits – loss and gratitude – can find expression simultaneously as part of any grieving process. Our sense of loss, of course, needs to be acknowledged and be given freedom to find expression in us. But gratitude for the gift of whatever has been lost should also be a part of this expression. It will be the ascending spirit that remembers all the goodness that God has blessed us with in the time we enjoyed His gift. Our gratitude will redeem our loss from the potential of becoming a deep open wound in us. Instead it will serve as a springboard of praise to God for all that we have received through this temporary gift, as well as the ongoing gifts that can continue for the rest of our lives as we remember the blessings the Lord gave us throughout these. To remain exclusively in a disposition of loss can possibly lead to a desolation where the natural expressions of grief become inordinately focused on the self and on my personal sense of loss. The obvious antidote to prevent this is the consolation of gratitude which turns our attention more to God than to self. There is nothing wrong with personal grief unless it becomes our sole disposition. Gratitude for God’s gift to us in the things we have lost will ensure that we see our losses from both sides. And this interplay of grief and gratitude will widen our experience, allowing us to include God more fully as we negotiate our grief. Rob’s words will live on, as will, no doubt, the many Imago Dei communities he nurtured with those words. Thank you for this beautifully written tribute to an extremely giving man. Rob has touched many lives and influenced them in a way that will continue to bear kingdom fruit for decades to come. Together, we will miss him deeply, even as we celebrate his eternal union with the God who loved him and loves all of us. Thank you, Rob, for gently and steadily pointing us in the direction of this Truth. Flyn, I appreciate your thoughtful tribute for Rob. I fully share your view of Rob as a sincere, gifted, loving brother in Christ. His meditations over the years have been a great gift to myself and to the many members of Imago Dei groups around the world. I first met Rob while serving with A Rocha Canada, when he was our unofficial Chaplain. His love of: music, art and his direction of contemplative fellowship were always a blessing! What courage. What brilliance. I believe his writing will live on, and become more appreciated as time goes by. Prayers and blessings for the family. I was part of the initial Imago Dei for a short time, but before that I knew Rob in his other ministries and wearing other “hats.” I was so sad to hear of his passing. He certainly has left a wonderful, godly legacy.